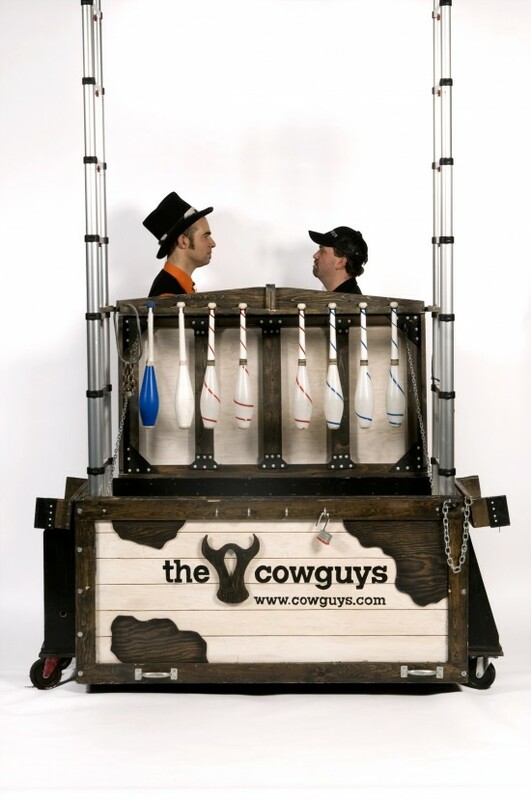 The Cowguys perform a stand up comedy style juggling show, complete with circus style stunts, bullwhip cracking, amazing juggling, and interactive customizable comedy that is suitable for crowds of all ages. In outdoor performances we can also perform with fire. 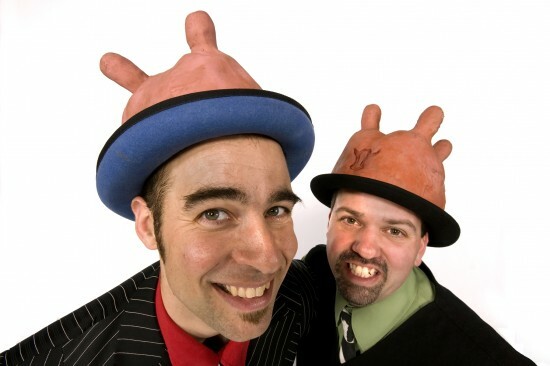 The Cowguys are an Ottawa based performing duo who have been delighting audiences worldwide since 1990. They expertly blend circus, western and magic skills with dexterity, wit, danger, and stupidity in their award winning show. With over 2500 performances to their credit at everything from private parties to corporate events, and festivals The Cowguys show is a proven crowd pleaser. Expect professional performers, showing up on time, with everything they need to put on a fantastic show. The show will leave you crowd laughing, energized, and having fun. The Cowguys have trained and done workshops with Ringling Brothers Clown teachers, Cirque du Soleil instructors, university level courses, Circus schools, Commedia Dell Arte, and other performers. They draw on this training at each of their performances. 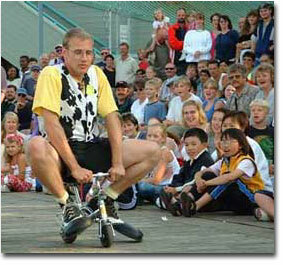 Brian Wilson performs as a Cowguy and also runs Orbital Entertainment - Ottawa's Premiere variety arts agency. He is also an accomplished juggler, yoyo artist, stilt walker, ladder walker, bullwhip cracker, fisherman, enjoys doing yoga, and is a champion pig wrestler. You can bet his parents are proud. Nick Miller was recruited by the Cowguys in 2005. 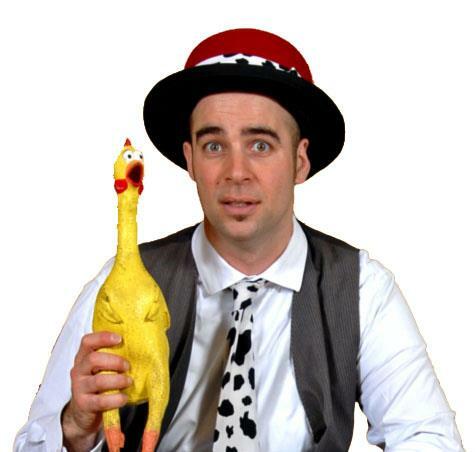 Nick has been performing his own juggling / variety show since 1990, Originally from Halifax Nova Scotia, Nick has travelled the world with his unique style of fashion and comedic talent. Nick brings great energy, fabulous juggling skills, diabolo, and some hilarious improvisational skills to the Cowguys show. Depends on the act - best to get in touch with us to discuss your event. anywhere from a 5-90 minute long show involving 1-3 performers. We are always happy to customize our show to suit your crowd. Martin and Lewis, Steve Martin, Bill Cosby, Checkerboard guy, Howie Mandel, and a tonne of non-mainstream performers that were very Inspiring. a stage, a crowd, potetntially a sound system (with two wireless mics, and a line in for ipod.) We can even bring the sound.